There is no doubt that a lawn mower can quickly get dirty. This is especially true when mowing wet grass. Maintaining a clean mower is essential to keeping it running efficiently for many years ahead. However, a proper mower cleaning requires the right tools for the job. A hose is commonly used to clean various items around the yard. However, should it be used to hose off a lawn mower? The answer depends on your type of lawn mower. For example, the manufacturer of Ego cordless lawn mowers advises not to use a hose to clean their lawn mowers because they are not waterproof [source]. However, a review of the owner’s manual for the Honda Harmony II (a traditional self-propelled mower) indicates that the deck and grass bag can be hosed off. Additionally, some lawn mowers come equipped with washout ports. A hose is connected to the port, which sprays water under the mower deck. 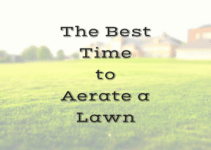 You start the engine with the water running and keep the mower running until you do not see grass clippings coming from underneath the mower. Read your owner’s manual to determine if your lawn mower can be hosed off. If you do not have the manual, we would recommend contacting the manufacturer to see how to handle cleaning your mower. Spark Plug – Always disconnect the spark plug so that the mower cannot accidentally start while you are cleaning it. Cool the Mower– Let the mower cool before you begin to clean it. Getting water on a hot engine can result in damage to the engine. Of course, touching a hot engine can burn your hands. Areas to Avoid – You should avoid getting water on the muffler, air filter, carburetor, and the electrical. Hose off only the deck of the lawn mower. The Correct Tilt – There is a correct side to tilt your lawn mower. You should tilt the lawn mower so that the carburetor is facing the sky. If you tilt the lawn mower with the carburetor toward the ground, it will fill with oil and cause a mess. Please watch the below video which demonstrates how to correctly tilt a lawn mower. 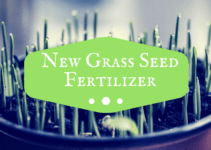 Scrape Away – If there is any remaining grass after you hose off the undercarriage of your lawn mower, you can scrape it off with a mower deck scraper, wire brush, putty knife, or a similar tool. Routinely cleaning the underside of the deck will increase airflow allowing for a better mowing of the lawn. Additionally, it will prevent corrosion and potential extend the life of your mower.